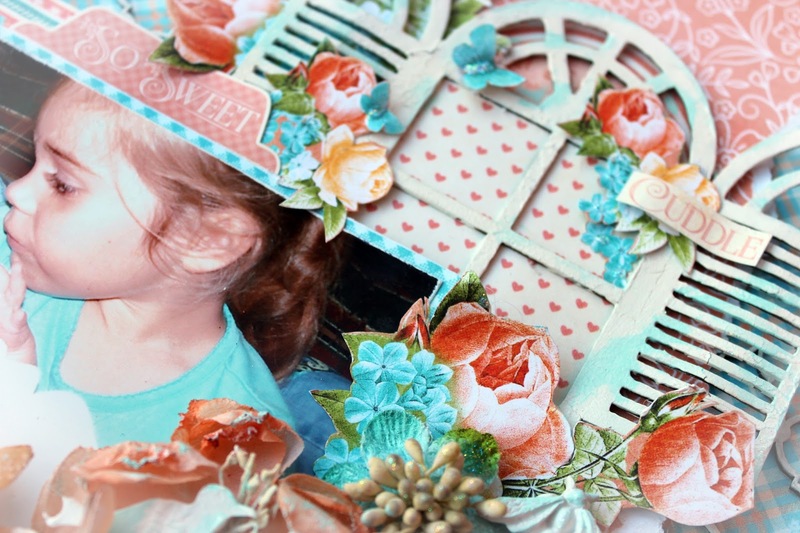 Today I have the last installment of my Graphic 45 creations for The Scrapbook Store. I have saved this one for last as I had this most memorable photo to use. A moment captured by my camera. The moment my third daughter, only hours old meets her older sister for the first time. 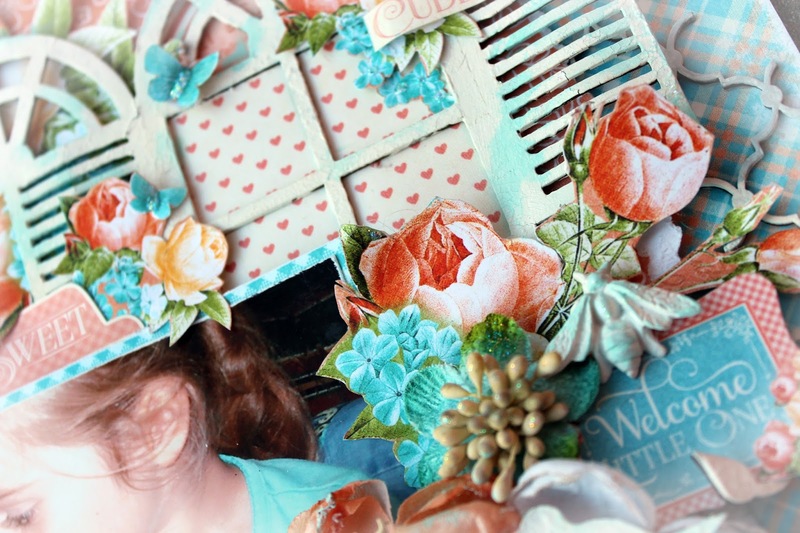 For this creation I have used all of my left over bits and pieces from the remaining collection with a lot of additional chipboard pieces to bring the layout to life. I couldn't go without using the remaining fussy cut florals and butterflies. The Fabscraps window that you see here has been dressed with white crackle paste and rubbed over with Ranger Aqua acrylic paint randomly. The other chipboards have been treated similarly. 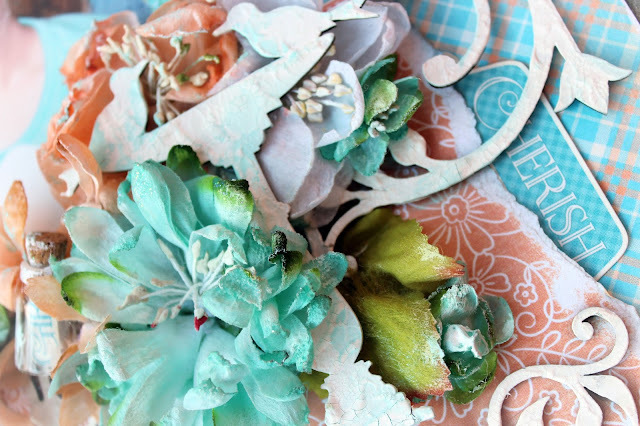 The window frame was backed with the remaining tags and then more fussy cut flowers were added . 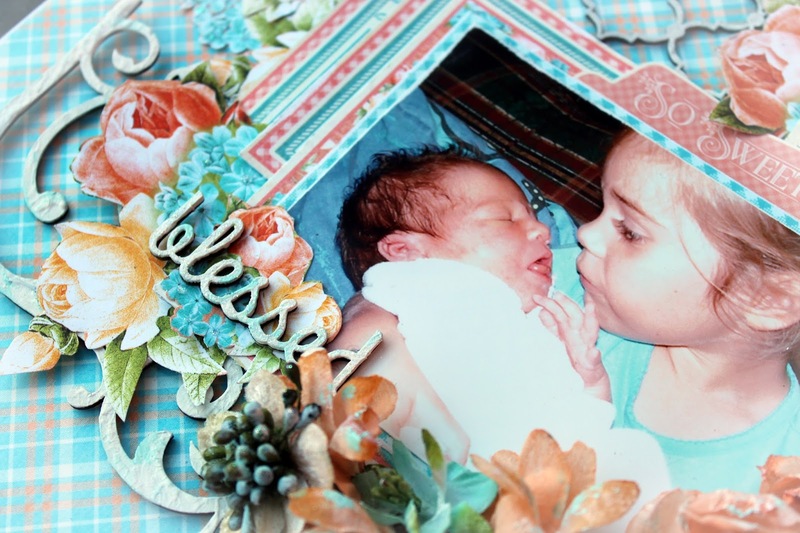 The photo was matted with the remaining Graphic 45 Precious Memories frames which were torn in half to make them go further and to give some more dimension to the layout. I added a little glass bottle to add the sticker word "Girl". Everything was dry brushed with both gesso and acrylic aqua paint. The Dusty Attic Ironwork Banner was cut out from the centre and added to the base of the layout to sit under the bird bath. 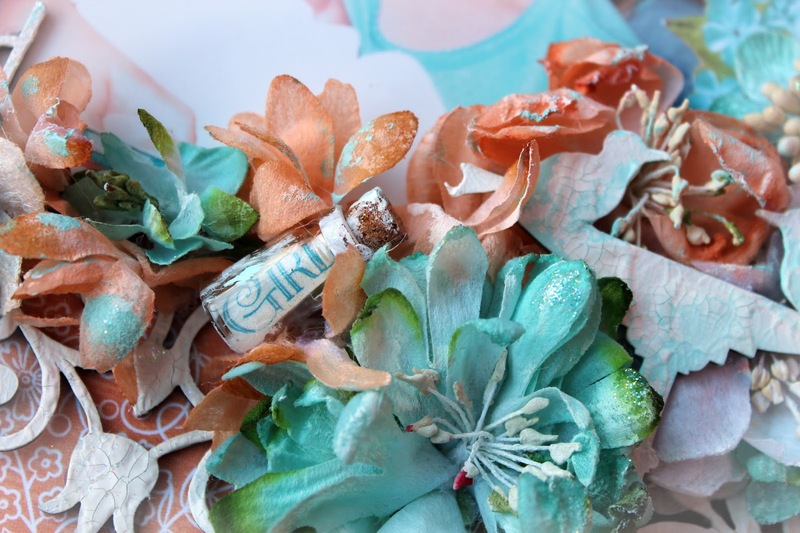 The layout was then embellished with Petaloo International Botanical Blooms in aqua white and teal. Please keep scrolling for a materials list.